I hope everyone had a safe, enjoyable summer. Hopefully you were blessed with quality time alongside family and friends to relax following the past school year. Now with renewed enthusiasm for the upcoming school year, I would like to express my excitement to be with you as your School Resource Officer (SRO). 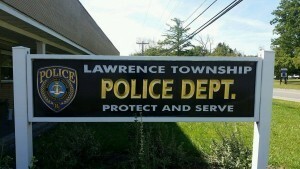 I am a member of the Lawrence Township Police Department and have been employed with them for the last 19 years. I have also been previously employed by the Clearfield County Sheriff’s Department as a Deputy Sheriff. During my professional career I have been able to establish a relationship with many youths in our community. I am a life long resident of the Clearfield Area and I am proud to call this community my home. I look forward to the opportunity of interacting with your students in any way I can as I focus on maintaining a safe learning environment for both students and staff. As we move forward into the school year, I am excited to assist you with any challenges that may arise, and to help educate students and staff on issues related to law enforcement and school safety. My school office is located at the Clearfield Junior Senior High School. Please let’s work together for the safety of all. Let’s have a great school year.